Flickr is one of the best and most popular online photo management application. It allows to show off your favorite photos to the world, privately show photos to your friends and family, or blog the photos you take with a cameraphone. There’s a possibility to upgrade from free to Pro account which enables more features. Photobucket is a notable website for uploading, linking, sharing, and finding photos, images, graphics, and videos. Photobucket has free tools at your disposal for making slide shows of photos, videos and music, and users can share their media with anyone by email, or mobile phone. Its free albums contain thousands of photos and videos. Moreover, users are allowed to browse through Photobucket’s immense online library of photos and videos to search for the latest user generated content. Imageshack – is a free media hosting service with intuitive design. It can be used in different ways – for uploading images, flash files, and movies, and share them with friends using any imaginable means. Slide offers great tools for creating your own slide shows and other digital content. You can publish and discover the people and things that matter to you. 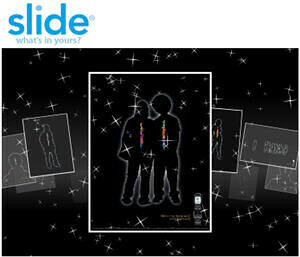 Slide can be embedded onto your personal website, viewed on your desktop or shared with your friends or fans. With an easy set-up, a clean interface, and theme options, Slide is among the most popular tools for self expression on the Web. Smugmug allows to create online photo albums with ease. Share, store, organize and print. MyPhotoAlbum makes it possible to create a personalized online photo album. It features an easy upload. Store and share your photo sand, share videos, create quality photo calendars, photo books, receive high quality digital photo printing. Webshots offers a great variety of ways to enjoy photos. You can choose between free and premium memberships. Both of them come with tons of storage you’ll never run out. Share photos, slide shows, and videos on Webshots and your personal website, download professional photos in Webshots Pro Shots. Access Webshots on the go with Webshots Mobile, Easily manage your online photos with the free Webshots Desktop.